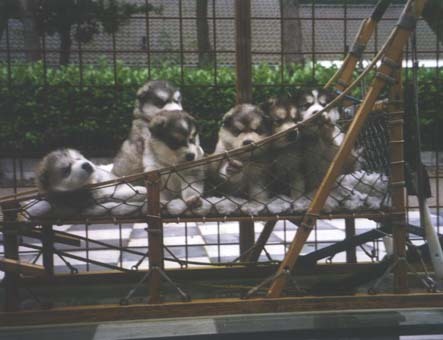 For information about the breed or future breedings you can allways contact us. 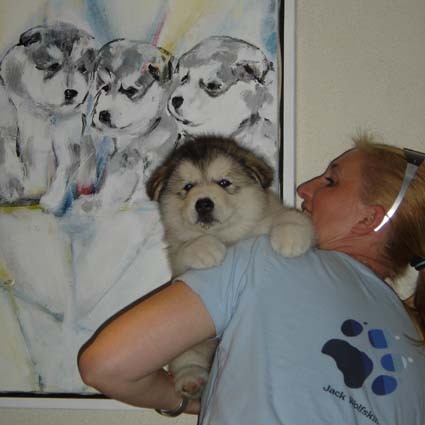 Nuka is an open minded, happy boy with a natural ease and cuiriossity towards kids. 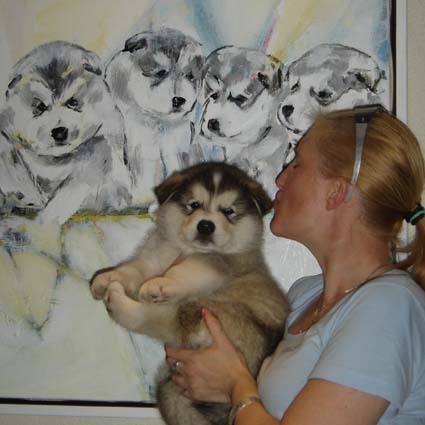 He now is the true compagnion of a very stable Malamute Lady called Sila (9 years), Leon and Manuela Geraedts, their three young and playfull kids and the Friesch Horses they breed. 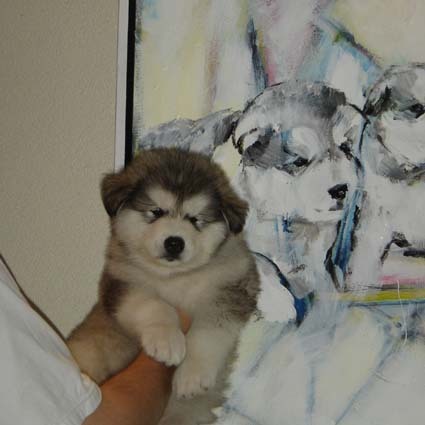 Taku is a true malamute with an enourmous self esteem, stability an a dignity that is allready there. He like's to watch and look before he leaps! 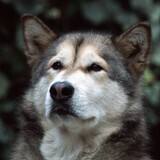 He is in the wunderfull compagnion of Cryiing Wolf Utaq, an eight year old, big malamute male we resqued with help of the AMCB from a shelter two years ago. Their proud owner is Kees Molema. 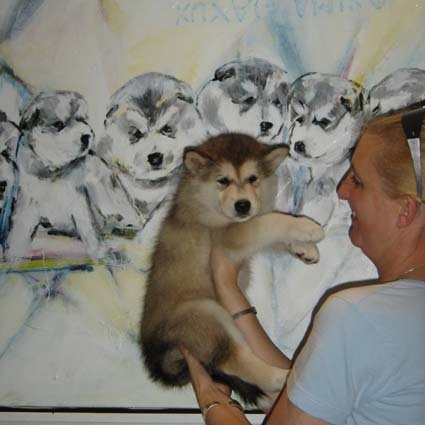 Yuma is a real playfull malamute who likes to turn his play in to work. 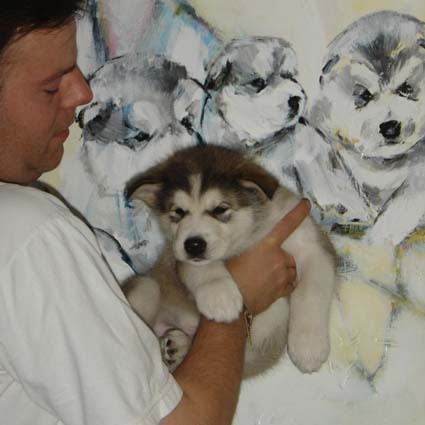 And he is in the opportunity to do so with Christoph Wyssenbach and his Malamute team in the Swiss mountains. 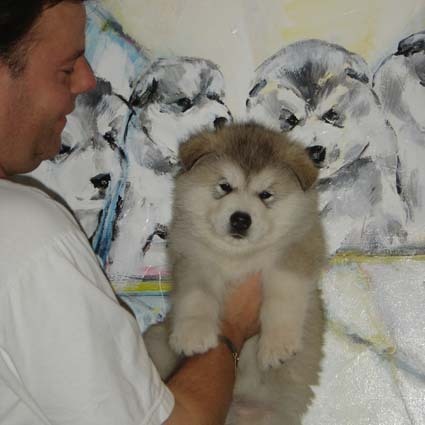 In the compagnion of two malamutes from Europe and one from Alaska he will be able to feel a lot of snow unther his feet! Magu is a real charmer with his beautifull face and markings. He knows exactly to "who-whooo" you where ever he wants. Luckily he has found an intelligent boss who is allways two steps a head in Ben and Jeanette Langendonk. They were allready the proud owners of Nanouk (inside information: a Cold Valley Lady from a combination of Sammac and Wingy). Magu is also to share is life with a flog of at least 13 Kakatoo's Ben and Jeanette bred.